Fabio was born in the beautiful city of Rome, Italy. While growing up his first passion was windsurfing. He started shaping and fabricating his own windsurfing boards at the age of 19 and by the age of 21 he had started his own windsurfing board design shop, called WaterWorks, in Rome, Italy. His windsurfing passion took him from the cold winters of Italy to the warm sun and water of Hawaii. After 20 years of running a successful windsurfing business, he changed gears and opened a gym in Kailua, Hawaii called Kailua Gym. During this time his passion for offroad design started. His first fabrication was a 1985 Chevy which he modified into a rock crawler. With this he placed 2nd at Hawaiiï¿½s Top Truck Challenge. 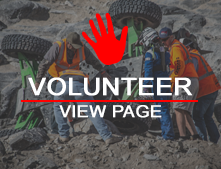 During this time he worked for Maui Offroad where he has formed lifelong friendships with the owner Jeff Bergemann (co-driver) and co-workers. 6 years ago Fabio moved back to Italy and started Fab-10 Offroad, an off road fabrication shop.